I recently made a new friend here in Texas named Roy who is a true conservationist. He lives on land in Hill Country that has been in his family for many generations and he is keenly aware of the carrying capacity of that land and making use of its resources. 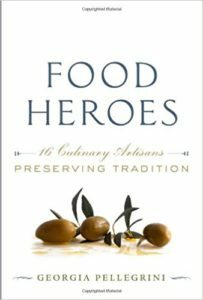 Every year he spends a lot of time hunting his land and making absolutely wonderful food from all of the meat. And he is very generous to share it with others. 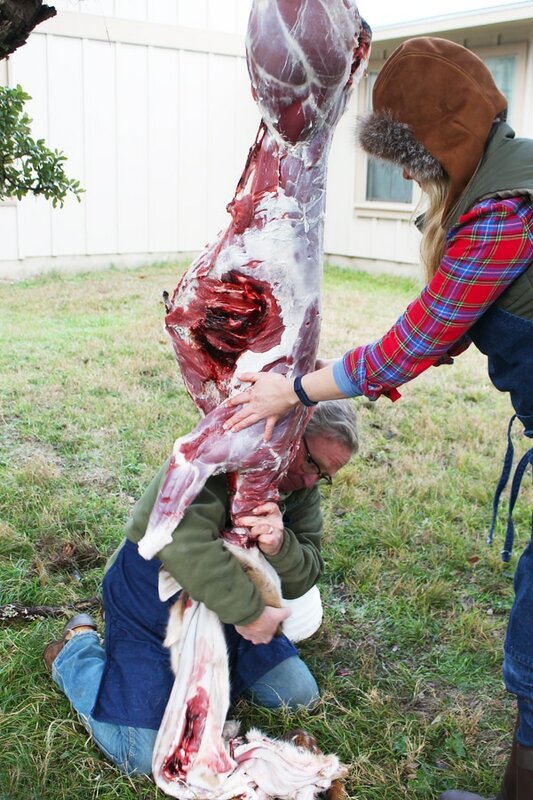 He invited me to his ranch where he had several Axis deer aging and we got to work skinning and butchering it together. 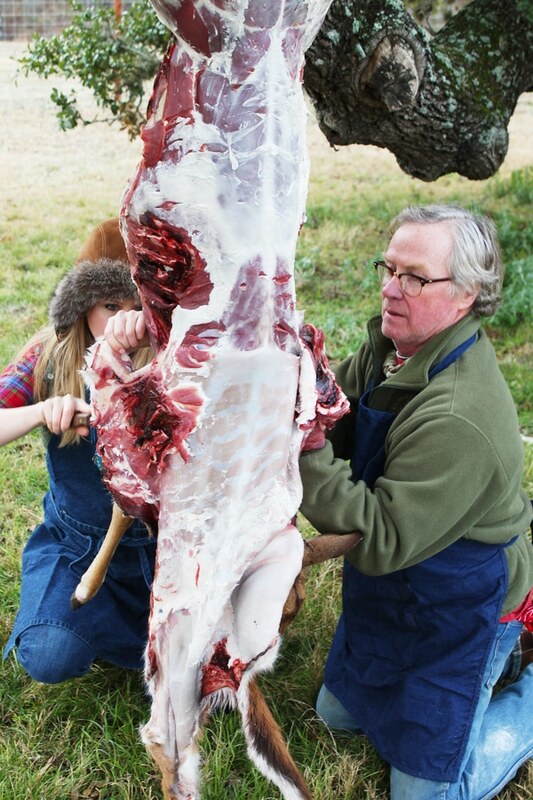 I like to age my deer up to 21 days and Roy has a similar philosophy. 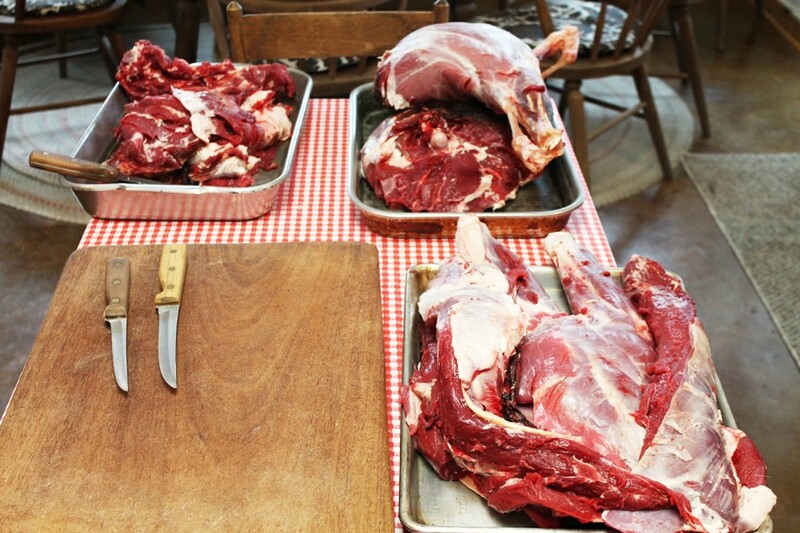 The longer you age, the better the meat will taste and the more tender it will be. These are what Axis deer look like. They are an exotic non-native species introduced from India. 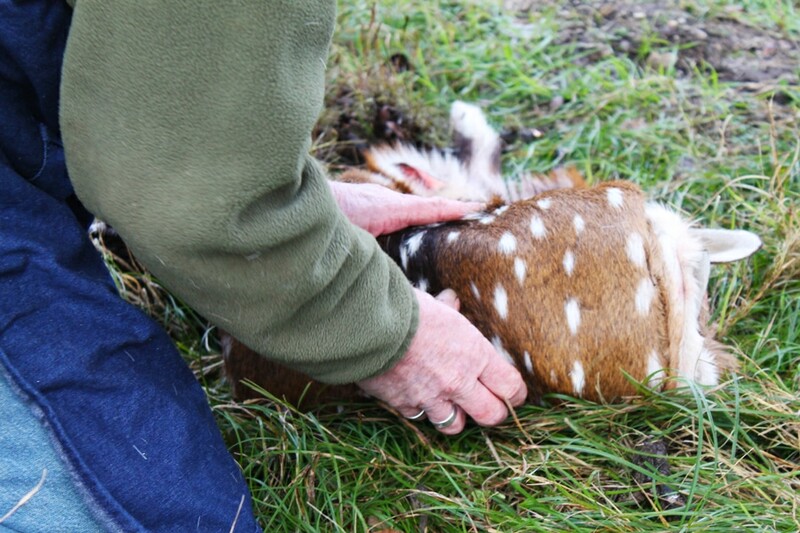 They all have reddish hair and white spots, so the spots are not indicative of their age. 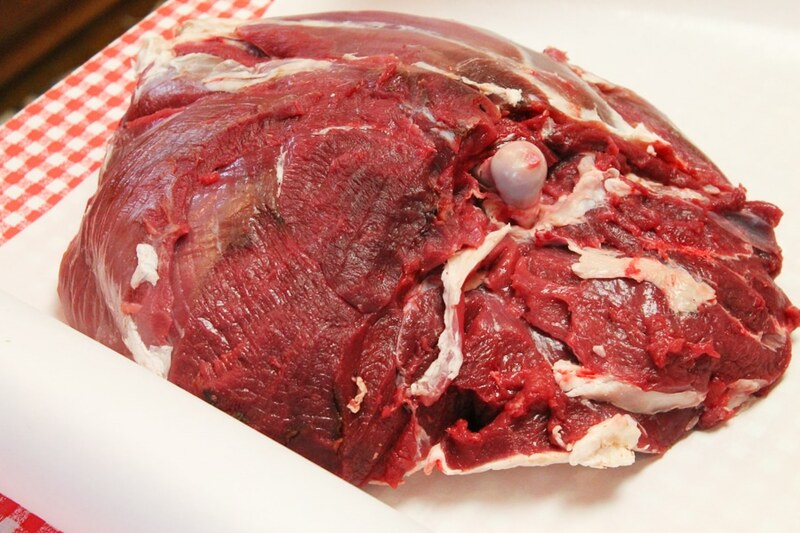 Roy removed the organs in advance of aging so the tenderloins inside which we’ll see in a minute were nicely aged as well. Ready to get down to business. I would recommend wearing an apron. 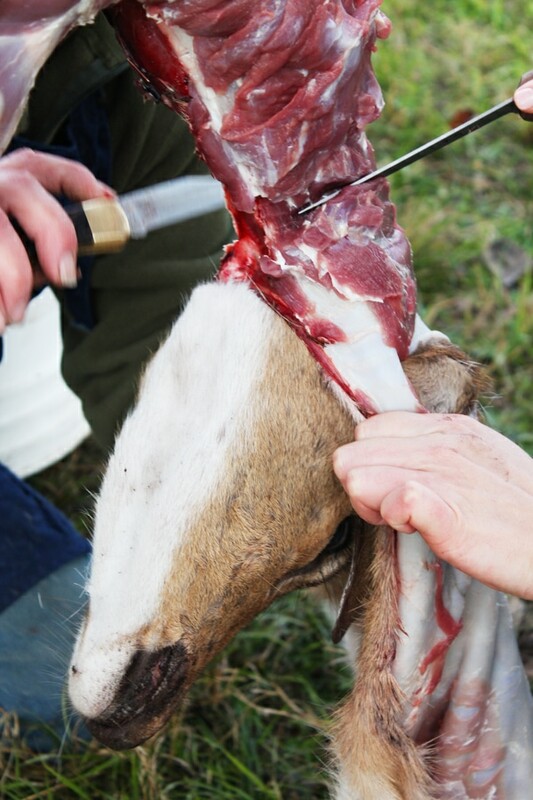 Start from the hind legs, inserting the tip of your knife and cutting upward to make the incision. 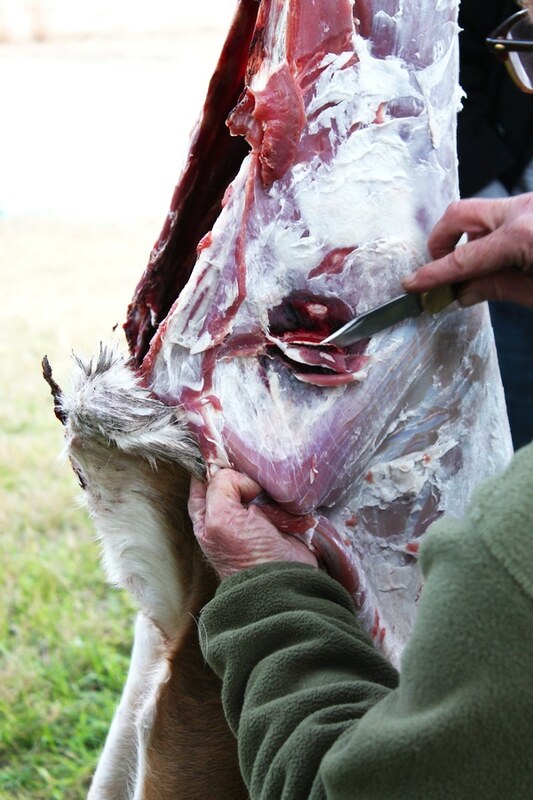 Then work your way down, pulling the hide down while making swift motions with the tip of the knife to release the membrane between the muscle tissue and hide. Here is a closeup. 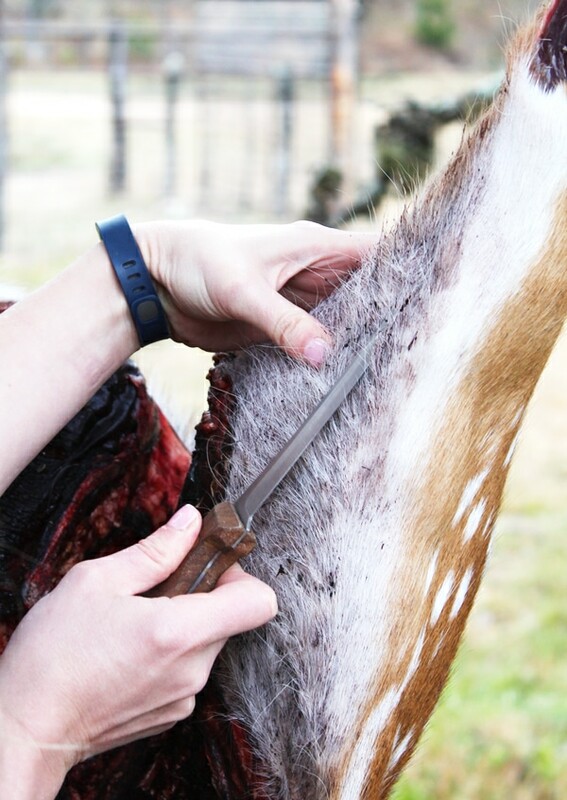 Pull down on the hide and continue to work down. My sidekick, Roy, worked on one side while I did the other. This makes things go more quickly if you have a partner. 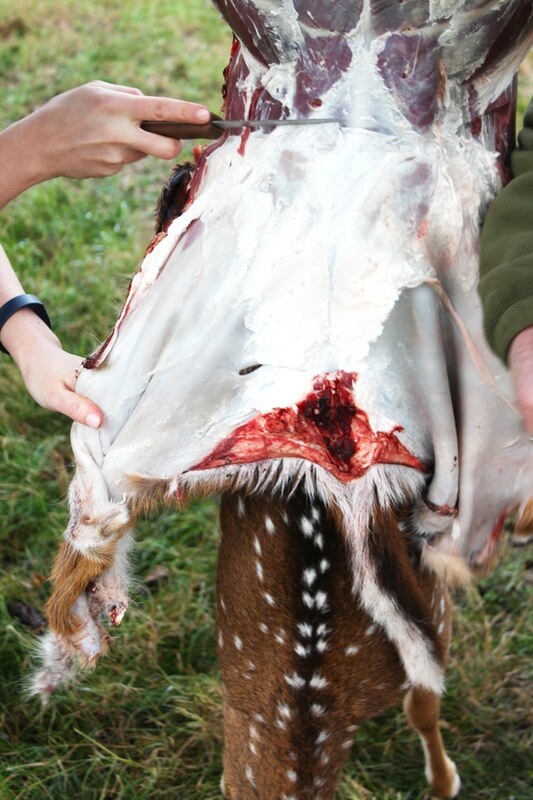 Eventually with both hind legs skinned you’ll meet at the back where there is a thicker layer of fat. Work this all the way until you meet the front legs and neck. Along the way you’ll come upon the bullet hole, around the heart area. You’ll want to cut the bloodshot out of the area because it will have an “off” flavor. 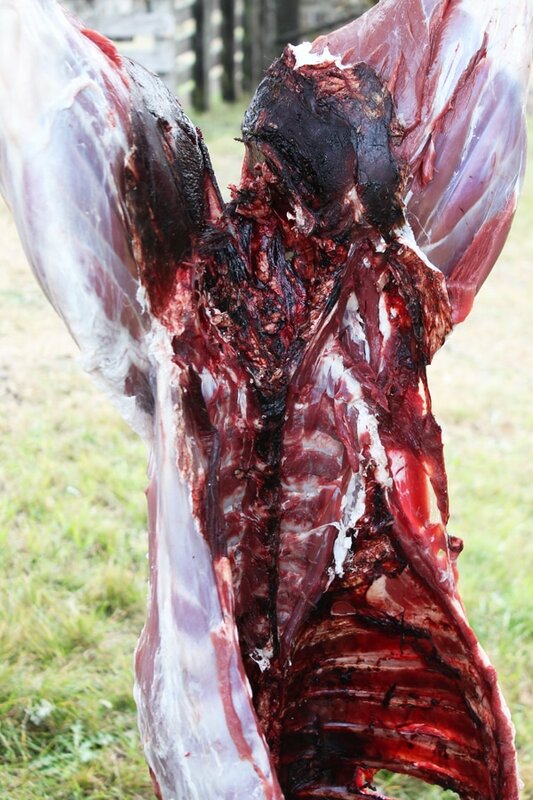 I spent a good amount of time removing the meat around the ribs where the bullet went through. 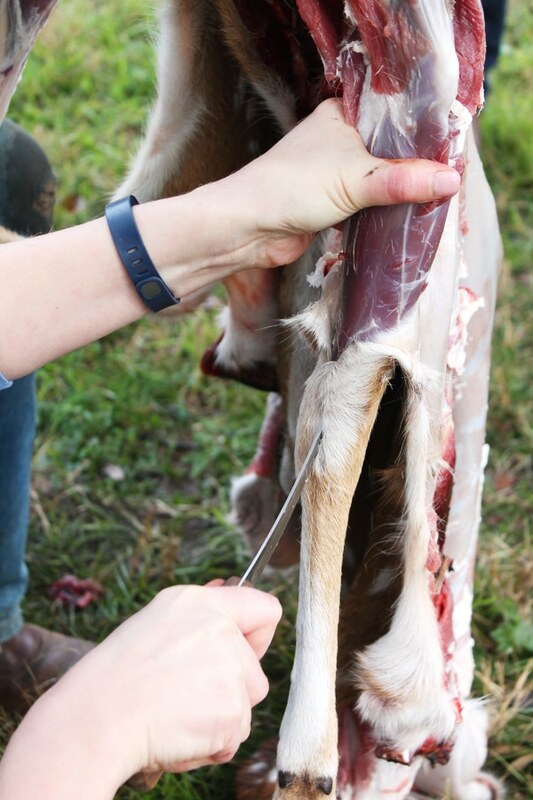 Then we sliced down the front legs. 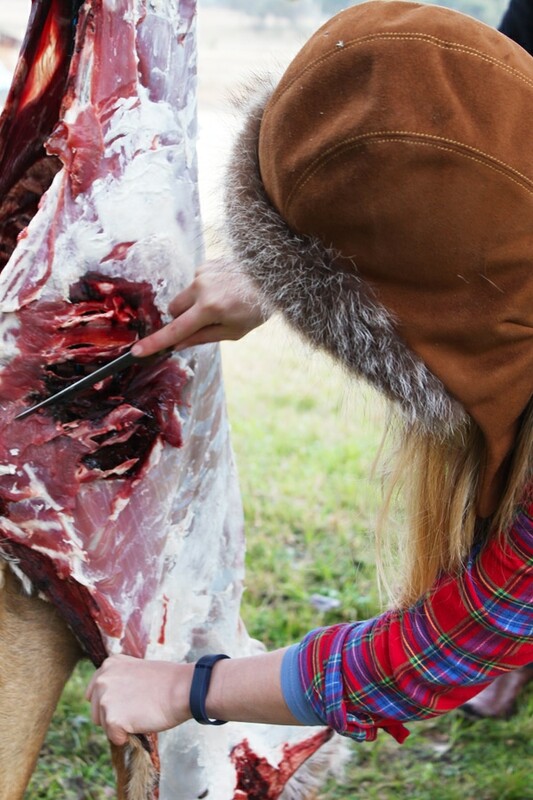 You’ll stop at the front leg joint and cut the front hoof off at the joint. 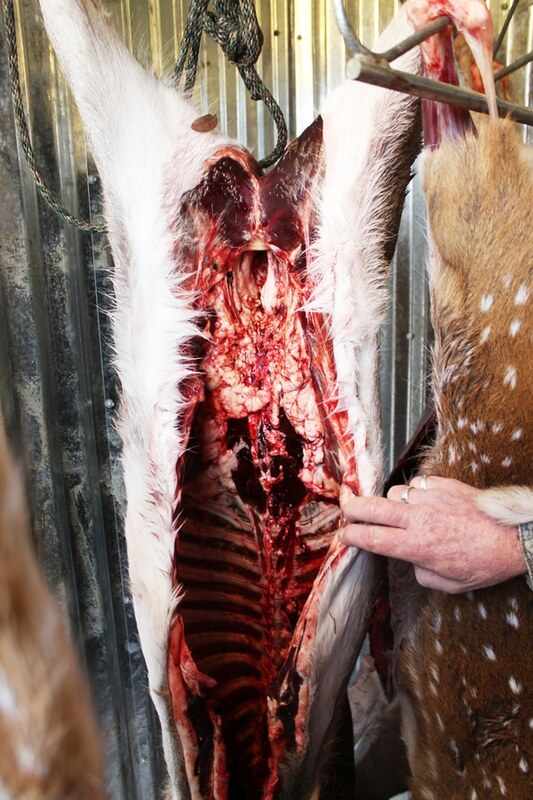 Then slice around the spine/neck. Twist off the head. It helps to have someone hold the body for you to stabilize. You can save the hide and have it made into a rug. Axis deer are especially beautiful. Inquire with your local taxidermist. 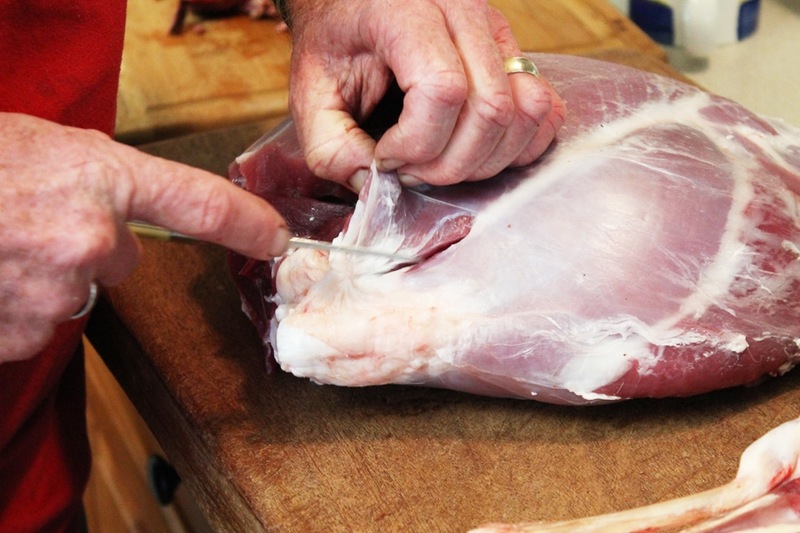 Now you will begin to take the meat apart. I spent more time cleaning the ribs where it was shot. 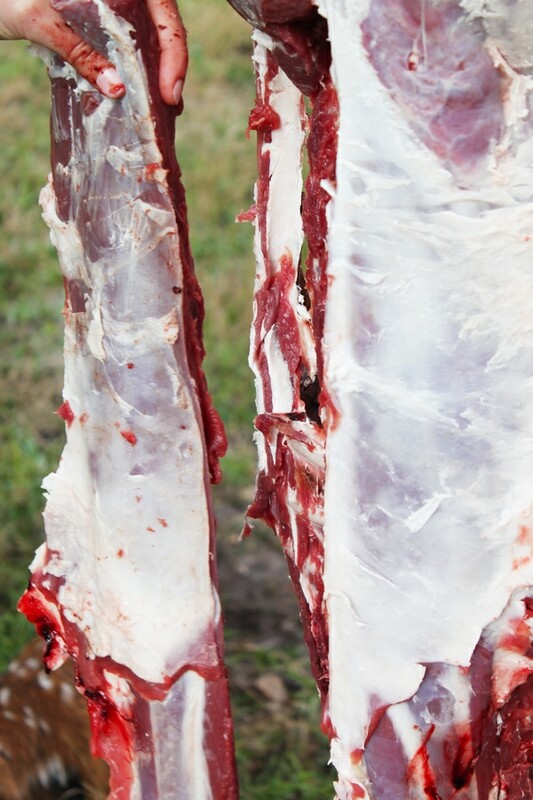 This is what well aged tenderloins look like, the extra dark meat that goes along the spine inside the cavity. 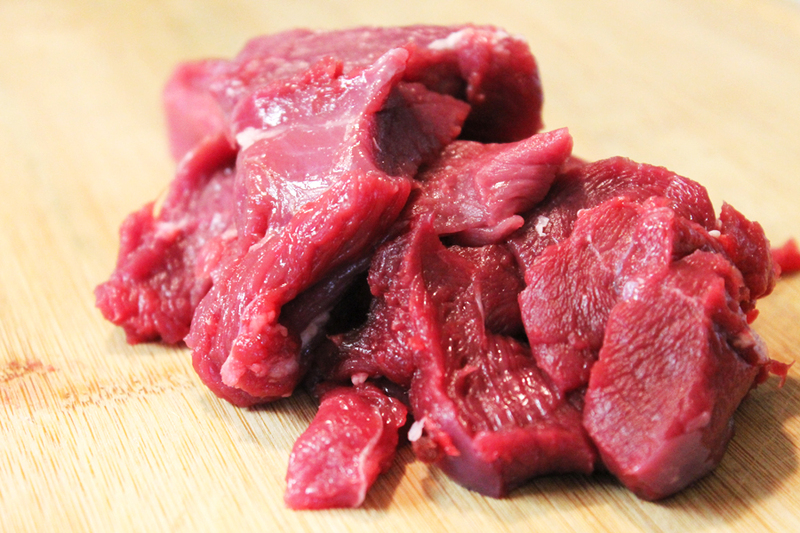 It is the filet mignon of deer and completely delicious. 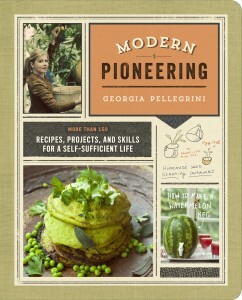 It is especially dark because it has been oxidized but you can cut away some of that and it will be incredibly tender. My manicure was looking special. 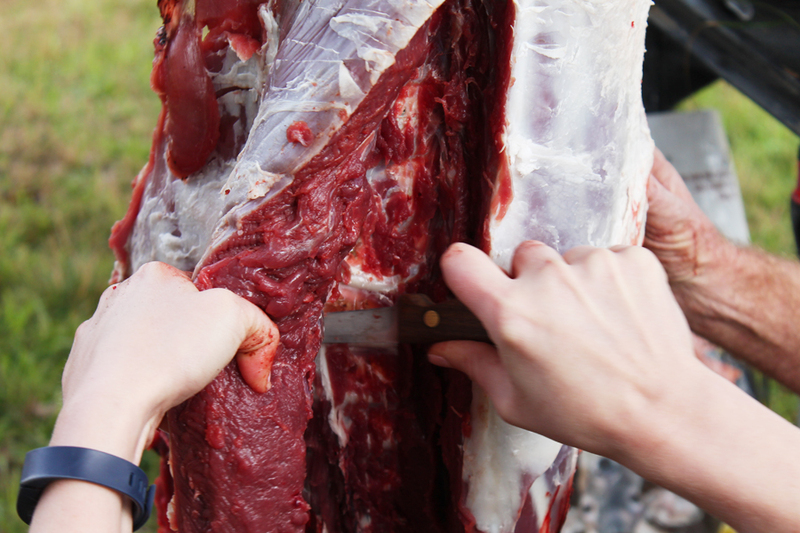 Then remove the backstrap, which is the second most tender part. 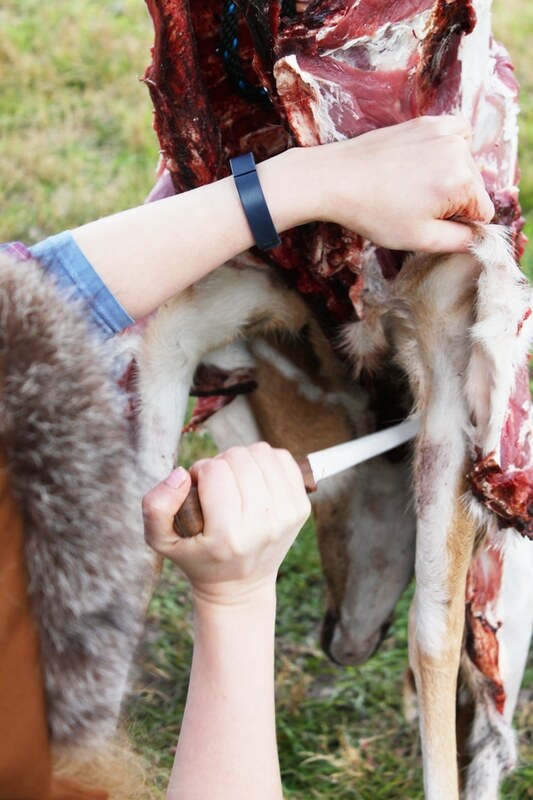 There is a backstrap on either side of the spine and it is very long so take your time, working with the tip of the knife to make sure you don’t waste any. This is the most luscious meat. 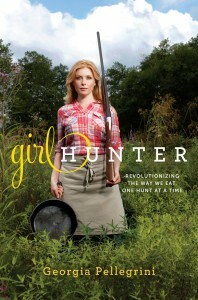 And one deer will feed a girl like me for almost a year. Imagine! It will look like so. when it is removed. Then you’ll remove the second one on the other side of the spine. Next you’ll remove the front and hind legs. 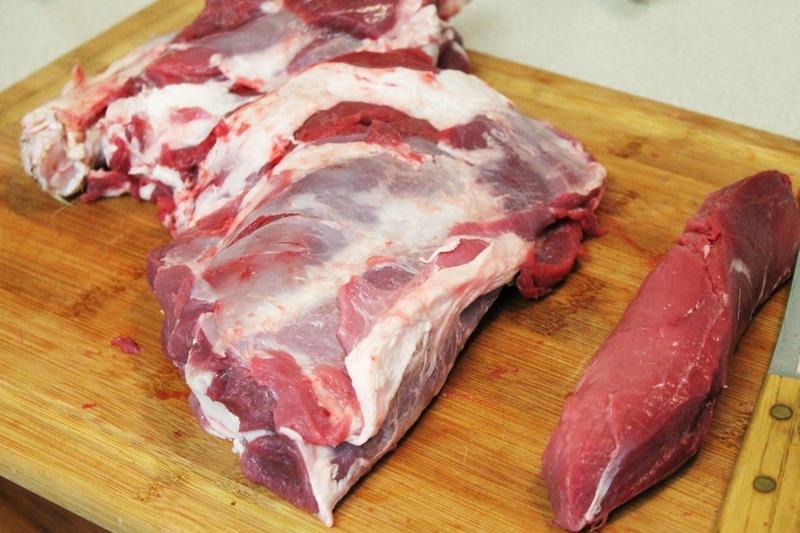 These are great cuts for braising, stewing and roasting. Roy even showed me a wonderful way to wet smoke the meat. 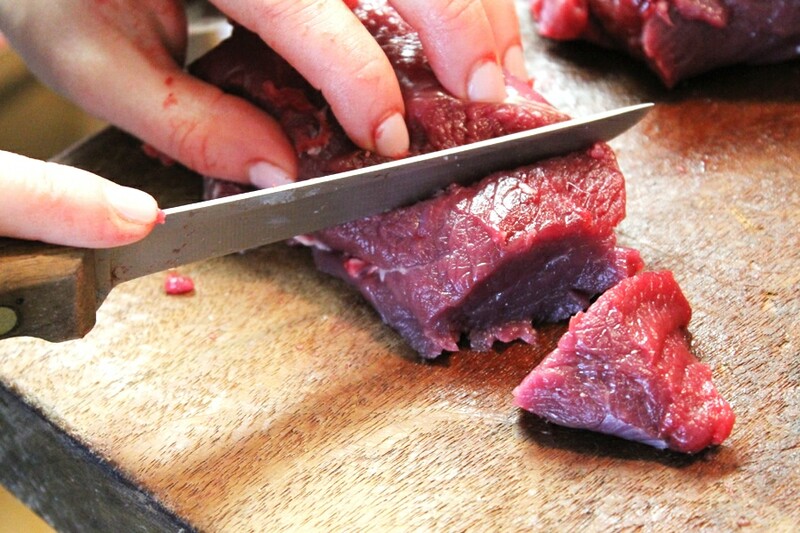 Pile it onto your trays, here is a combination of the legs, backstraps and tenderloin. 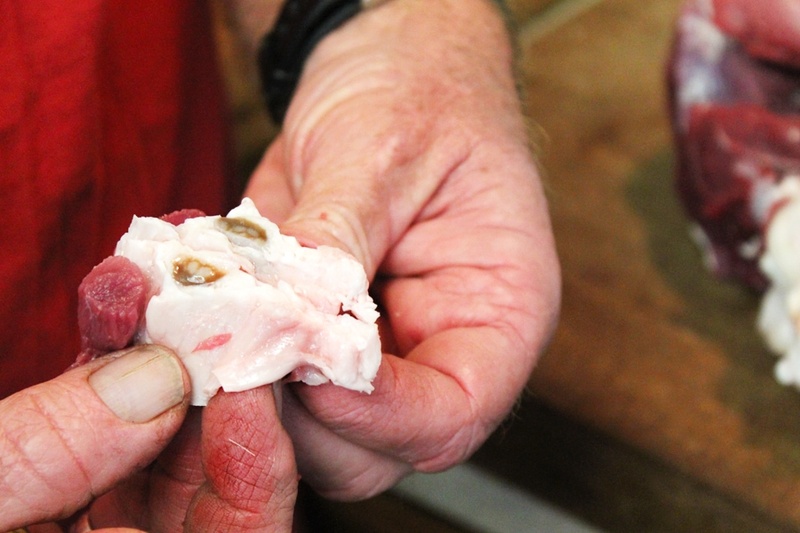 You’ll end up with odds and ends as well that you can use as scrap meat to make sausage. Here’s my tray of scraps and neck bones that I used to make stock and sausage! 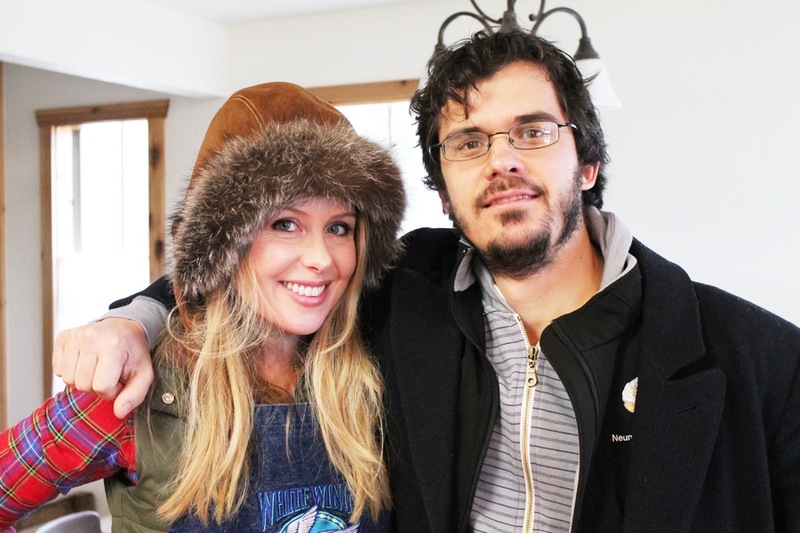 You’ll then bring it to the kitchen to break down into smaller portions, wrap, and freeze. The larger leg pieces have muscle lines that you can cut the contours of to break it into manageable pieces. 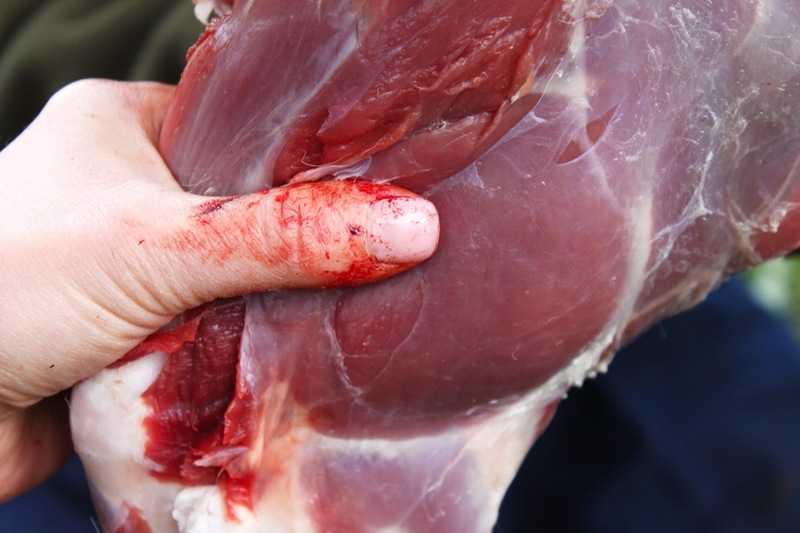 There is a gland in the leg muscles that you’ll want to cut out. 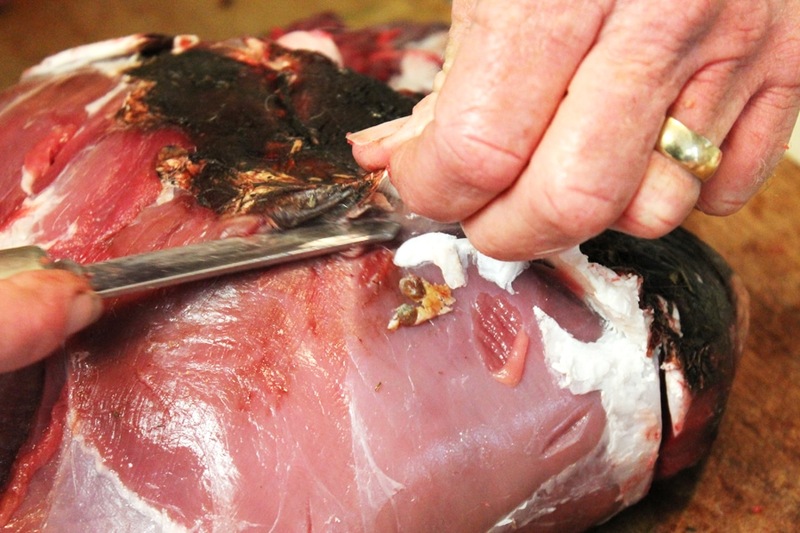 All of the dark areas that have oxidized from aging can be cut away at this point. What a beauty. 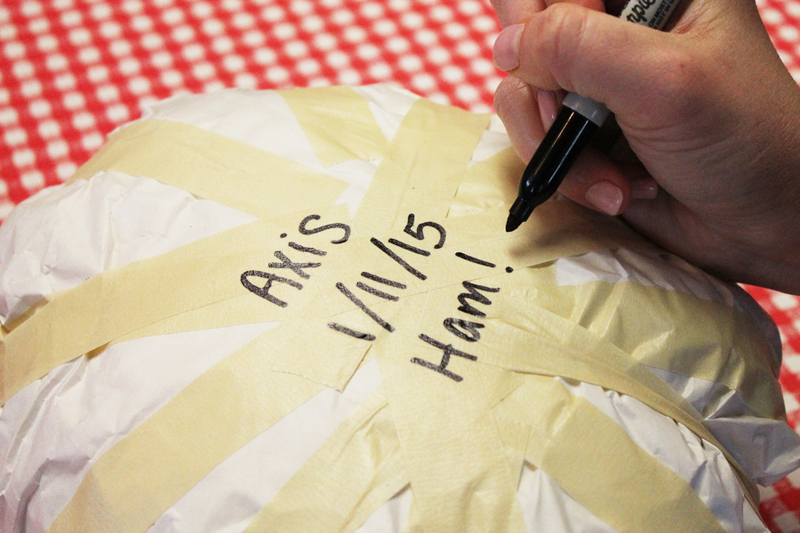 Deer ham! 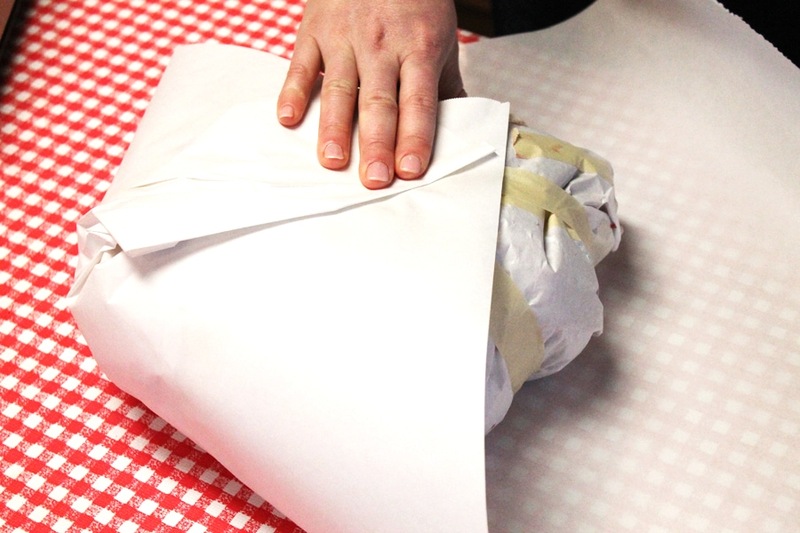 And then adding a second layer of butcher paper. I have a friend who is a BRAIN SURGEON who asked if he could come along to watch. I told him yes as long as I get to sit in on a brain surgery. He said yes so I’ll let you know how that life experience goes! 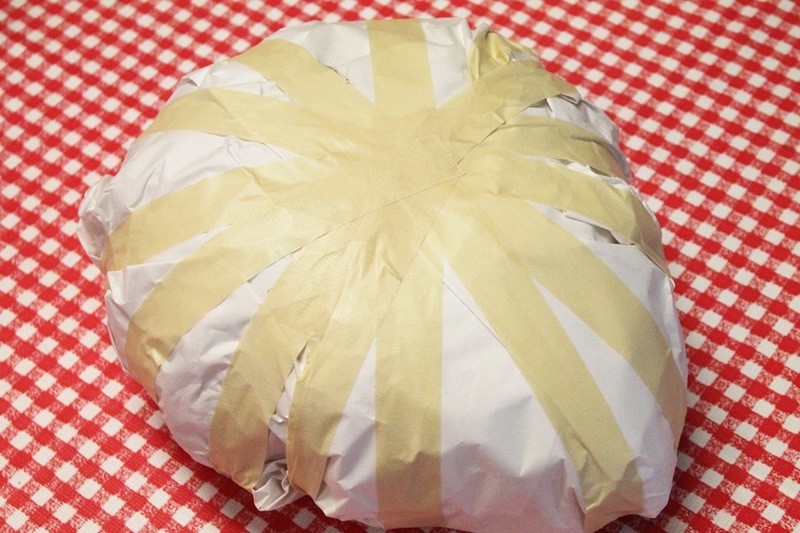 Here is a well packaged deer ham. Label it with what type of cut it is and the date it was processed. As your freezer gets full you’ll be glad you did. You always want to use the “First in, First out” method. Continue to to wrap the tenderloin, backstrap etc., into manageable portions. Think about how many people you’ll be feeding at once and wrap your portions accordingly. 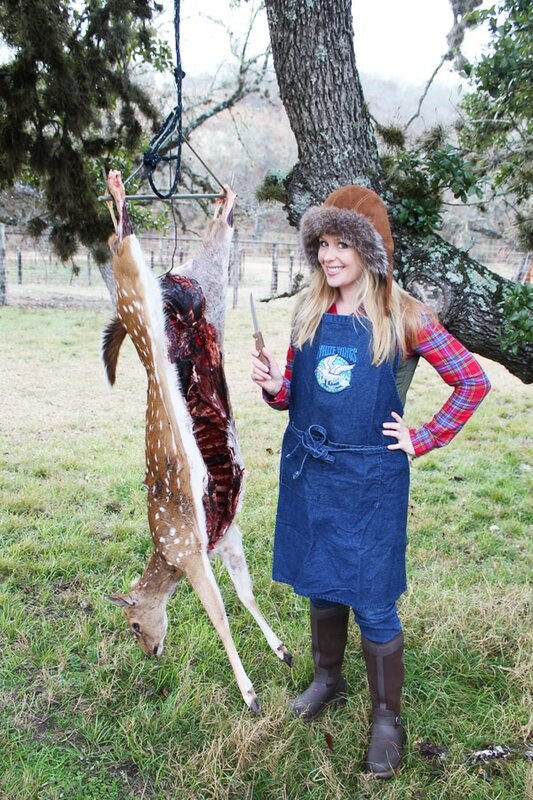 Since it is usually just me, I broke the backstrap down into 1-2 meal sized portions, but do what works for you and your family. 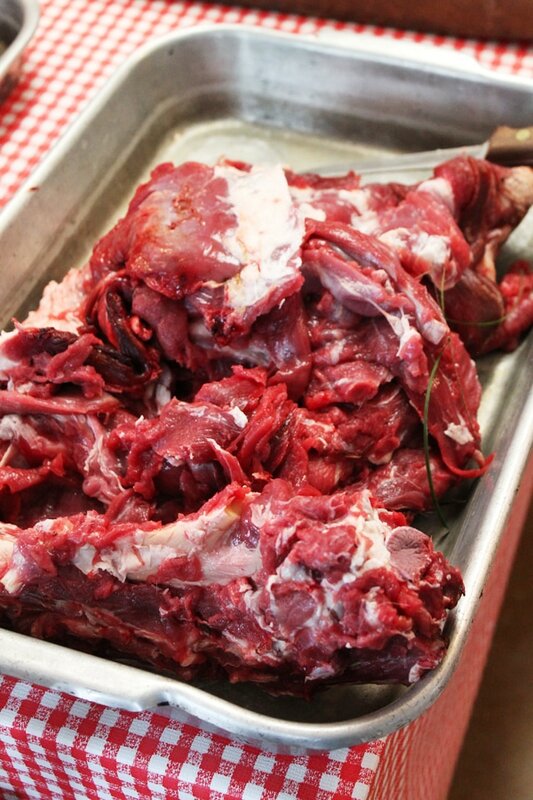 …you’ll see this stew meat used in my “Indian Spiced Venison Stew” recipe soon! Stay tuned. If you have any tips to add, please share them with the readers in the comments! 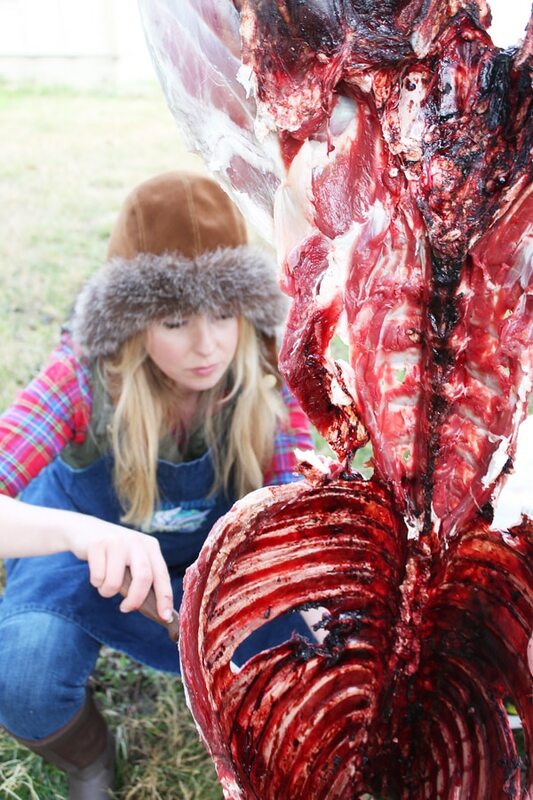 And if you’d like to learn to process an animal, join us on my next Adventure Getaway in the Blue Ride Mountains! I loved this. 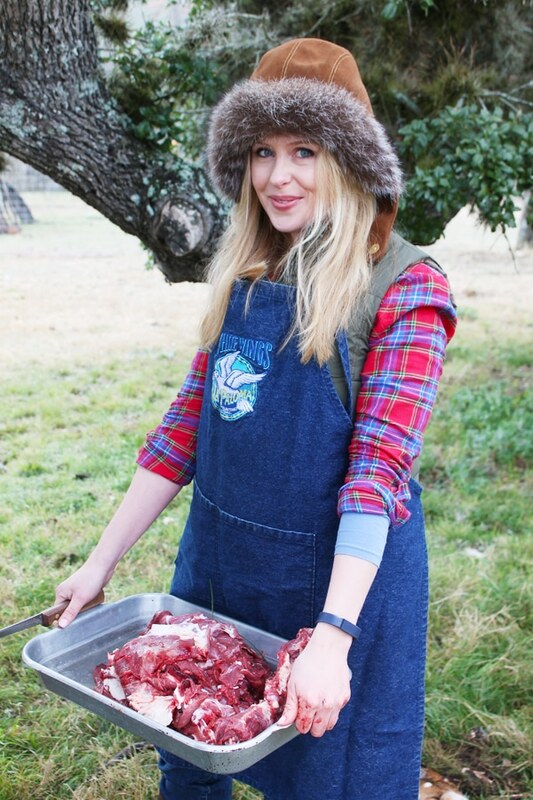 at what temperature high/low is good to age the meat? 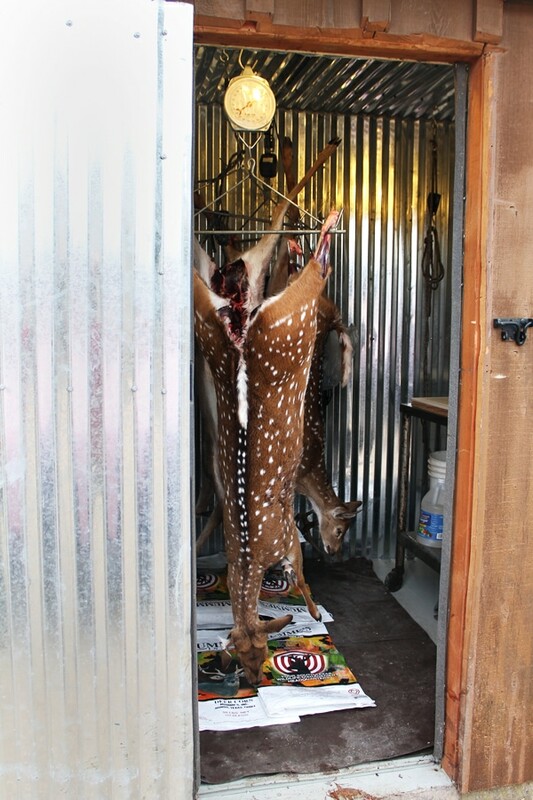 I have not hunted at times i knew my local slaughter houses have been closed as I did not want to ruin the meat until i could get it to them. Thanks for the comment. I age different animals different times. As Georgia says, 21 days is best, but to age that long, temps should be in the high 30’s. 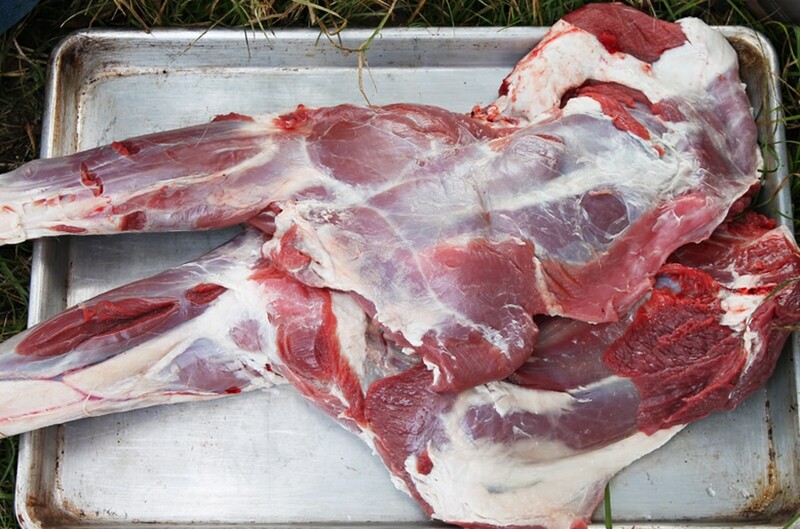 If you can age a deer in the low to mid 50’s, you can easily age it for a week. Got to keep it fly-free, and a smAll fan blowing on the carcass really helps. With such lean meat, you should always leave the hide on. 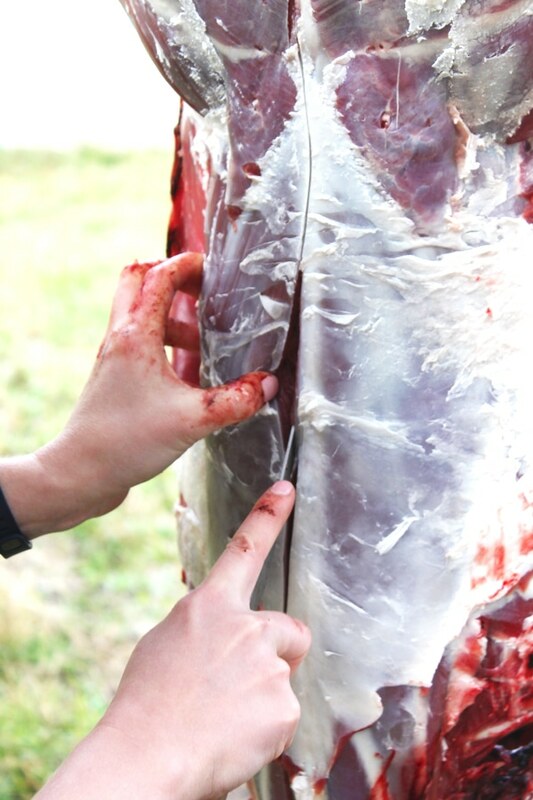 The cooler it is, the longer and slower the natural tenderizing enzYmes work. 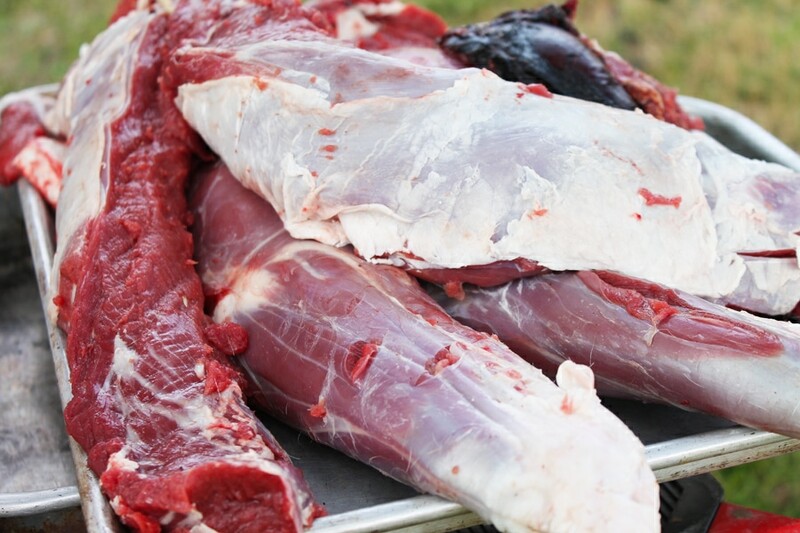 should mention that true 21 day aged meat will often grow a bit of mold. BeeF can looks like a chia pet! 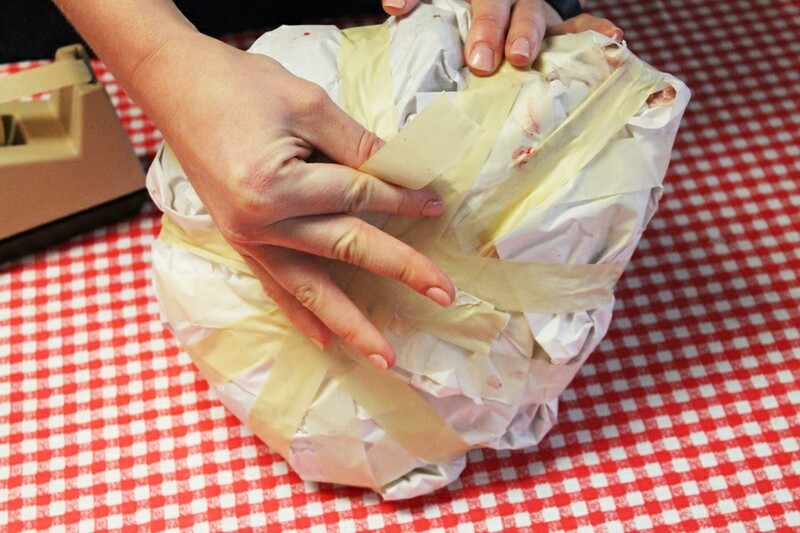 Not to worry; a light rub with a vinegar soaked rag or blue shop top paper towel Is all it takes. 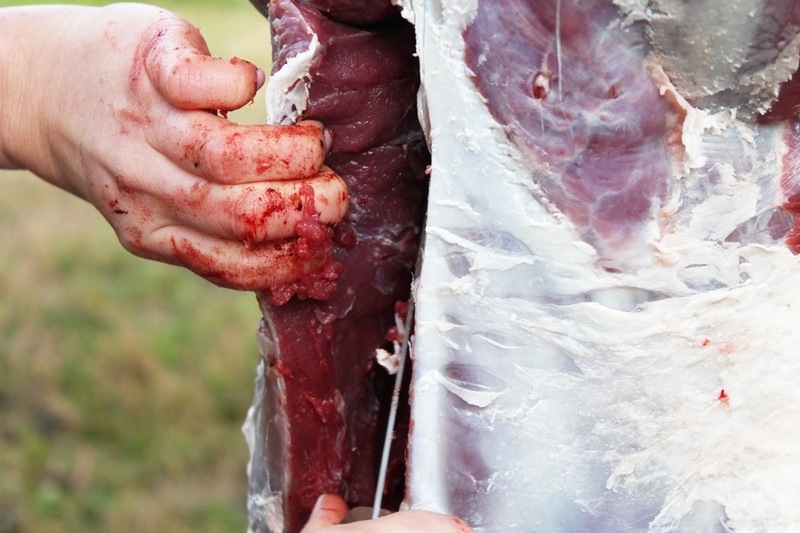 a feral hog really should age 18-21 days if you want that strap to be butter smooth. 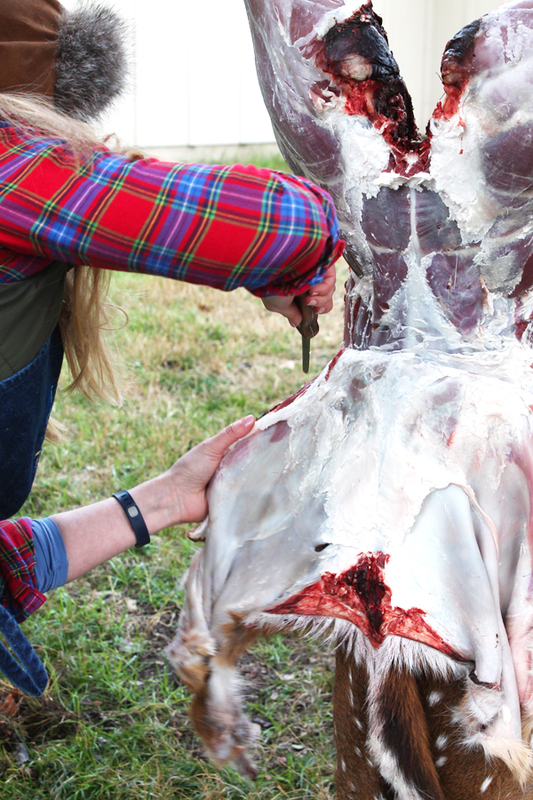 LitTle different skinning process on a pig. 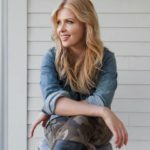 Check out the Cooler in Georgia’s photos. If anyone is interested, i’ll tell you how to build a poor man’s cooler with a little window unIt, and a slick little ELECTRICAL control box thaT you can regulatE to The degree! 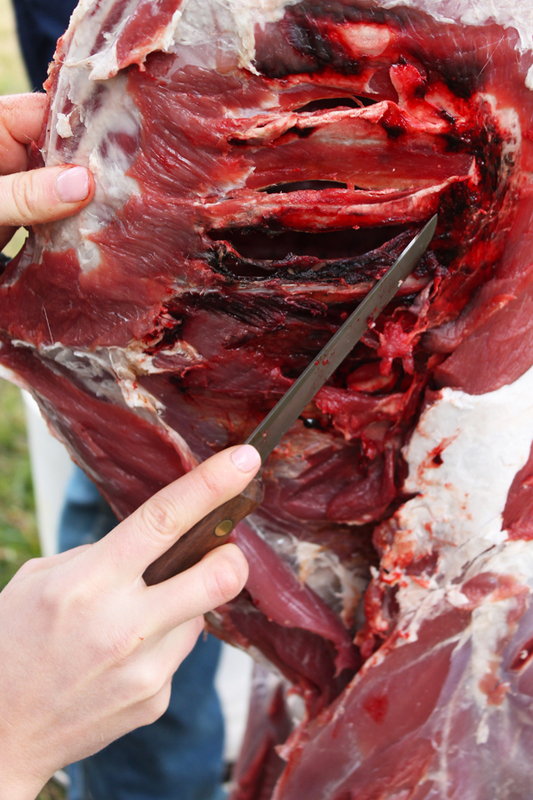 Also, dont double up on skinning unless your partner is really good with a knife! I also would like instructions on how roy built his cooling shed with a small window unit. thanks. Hi G, the website is looking good!! 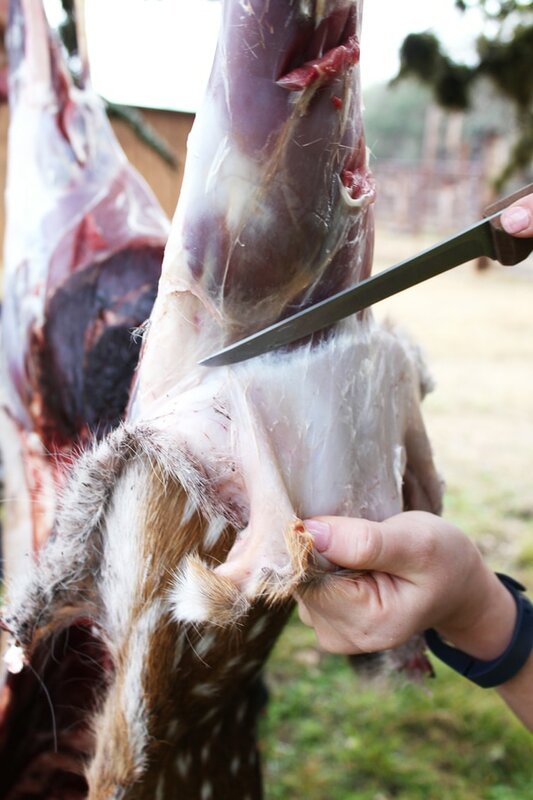 I checked out your deer skinning instructions and excellent pictures…thanks for the advice. 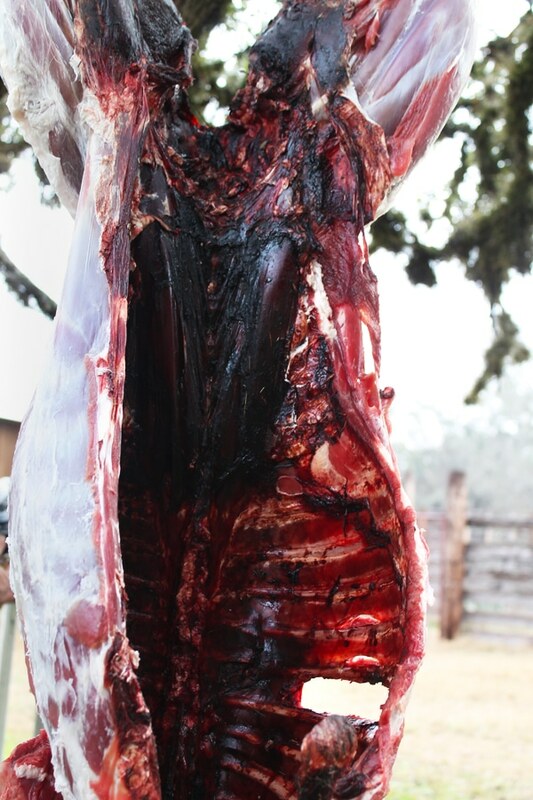 I will pass along one piece to you that a butcher friend of mine always told me…..when cutting the hide, always cut from the inside out…especially when working on the legs…….that way you don’t cut the hair and you get a lot less of it on the skinned meat! enjoy! !